A powerful angular geometry gives rise to this home's ultra modern aesthetic. 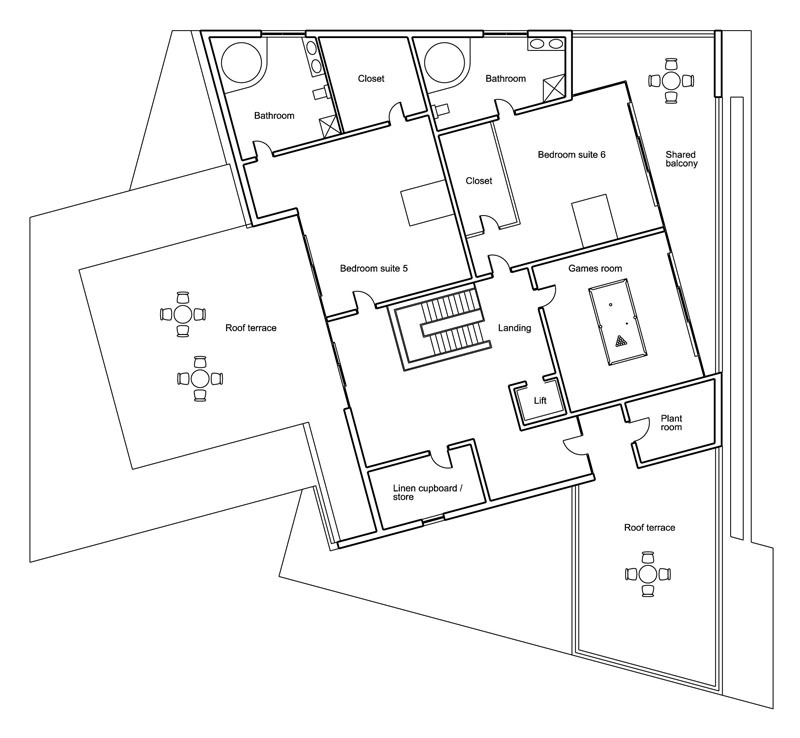 The property comprises 6 spacious bed / bath suites at first and second floor level, the ground floor layout features a home gym, ancillary staff accommodation, utility room and 4 car carport. 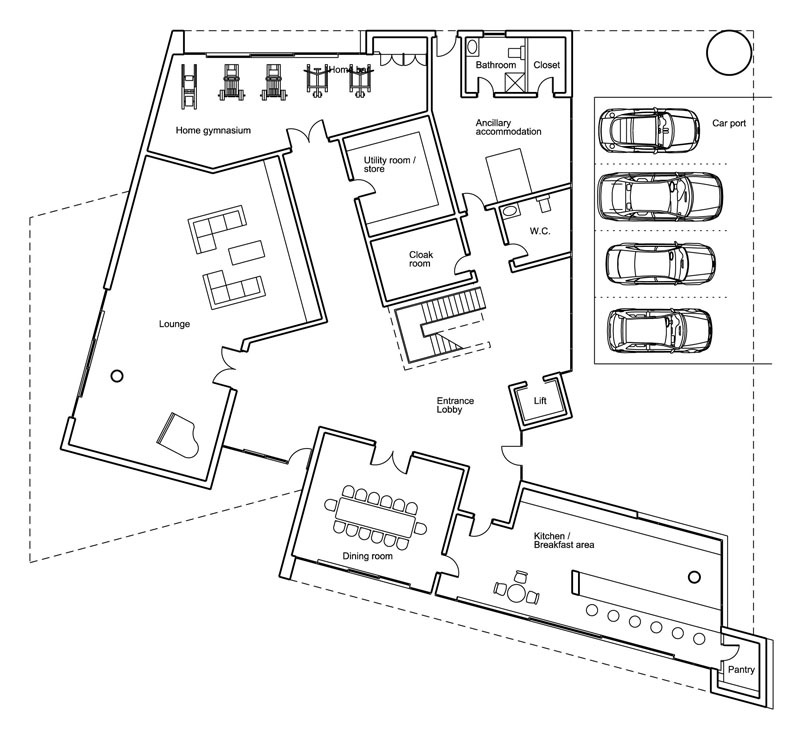 The first floor features a laundry and home office, while a games room is featured on the second floor. 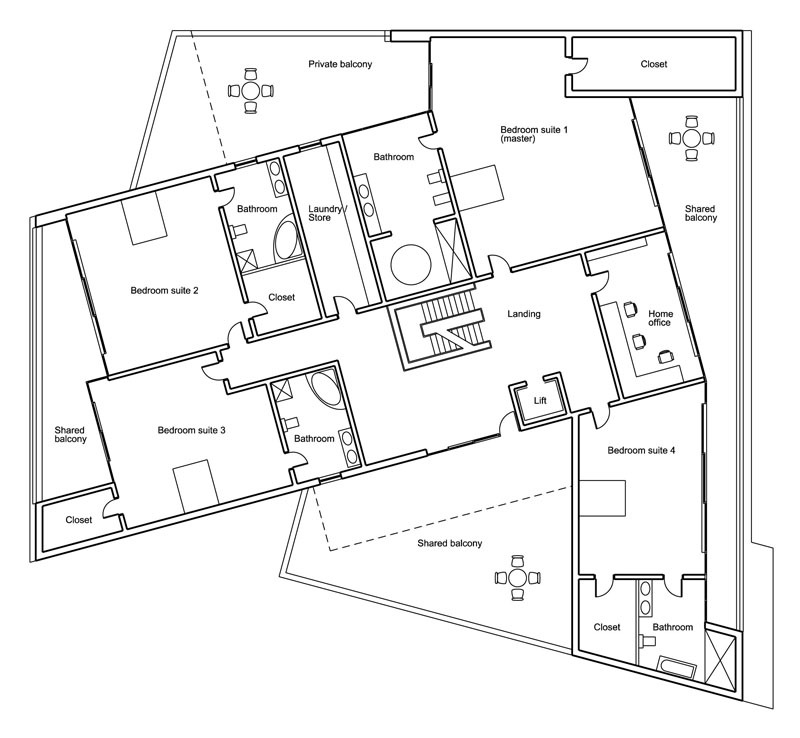 All bedroom suites lead out onto large shaded balconies or roof terraces. All glazing is recessed, making this home suitable for hot sunny climates. Reinforced concrete is the preferred construction method.